Keyprowler's easy-to-use interface requires no computer experience. That means instead of fussing with complicated settings, you're up and running instantly - invisibly and fully logging every chat, email and keystroke behind-the-scenes. Let's take a closer look at the Keyprowler Keylogger and Spy software program. If you would like to see it for yourself and see how easy you can begin using the powerful internet monitoring & Keyloger tool, try it free now! Keyprowler Keylogger gives you 100% control over monitoring online activity. You can choose to have Keyprowler start with Windows, hide the program folder, and pause keyloging if there is no computer activity and much more. 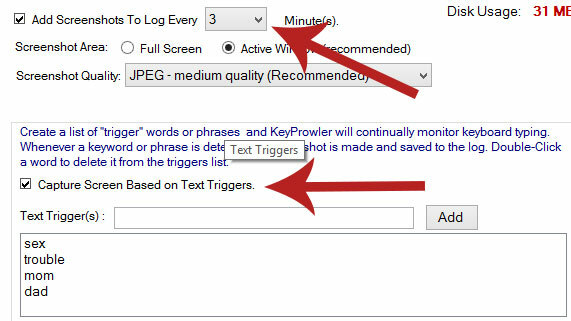 Keyprowler Keylogger allows you to capture screenshots automatically and create a list of"Trigger Words" that will be included in a screenshot log for at-a-glance reading of only the information you want to record. a detailed, color-coded report with screenshots so you can be informed immediately. 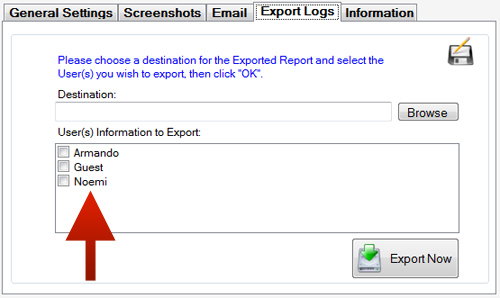 You only have to enter your email address to get started and start recieving reports sent to you at any time you specify. Don't Waste Time Fumbling with Complicated Internet Surveillance & Keylogger Software. 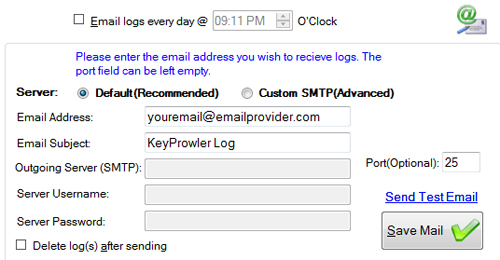 Be Up and Running in Minutes after installing - Securely- with Keyprowler Keylogger.